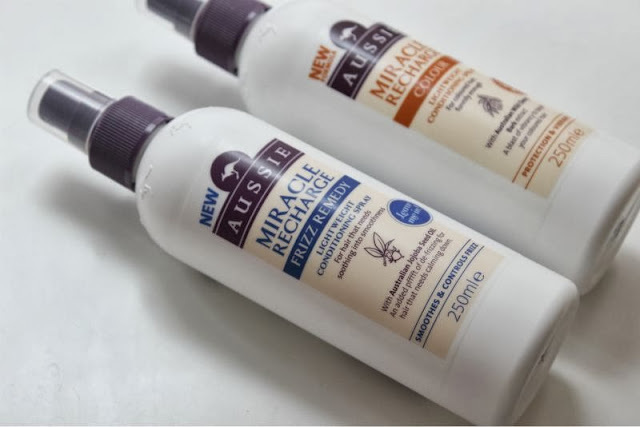 Fans of Aussie hair care can now rejoice as newly on the hair care shelves is a selection of Aussie Leave in Conditioning Sprays that have been formulated to target specific problems from frizz to volume and all that is in between. All in there is eight sprays to choose from so I am confident you will be able to find one for your needs. 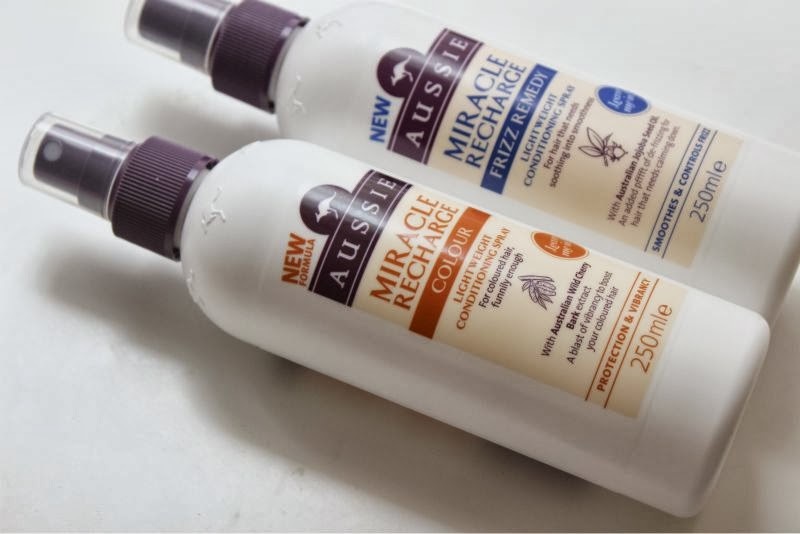 I was kindly sent two to put through their paces and settled on trailing the Aussie Miracle Recharge Colour Leave in Conditioning Spray, this has been created to help keep coloured hair bright and vibrant as well as engulfing the hair in a conditioning veil. As the name would suggest yes you do leave this product in the hair after washing and conditioning as normal then lightly mist this throughout the hair - I tend to avoid my roots and apply this from the tips of my ears down to the ends of my hair. I can't say if this will or won't leave the roots greasy if applied on such area but I wasn't leaving it to chance given past experiences. After misting on to the hair I take a wide tooth comb and gently comb through which I have found helpful for de-tangling my hair which has become more knot prone since I grew it out...ouch. All of the Aussie Leave in Conditioning Sprays have been formulated to be light weight so they do not weigh the hair down but give a light boost of moisture to the hair without leaving it greasy, lank or laden with residue. In my opinion less is more with any product of this kind and I do find this type of spray a great addition to any hair care routine - it helps prevent my hair looking frizzy should I decide to wear it natural (curly/wavy) and aids blow drying in the aspect that my hair has a sleeker finish when dry. Not to mention it gives a little extra peace of mind that I am putting in a little hydration that heat can sometimes take out with continuous use. I also recommend a leave in conditioner if you are a regular swimmer due to the drying/damaging quality that chlorine has. 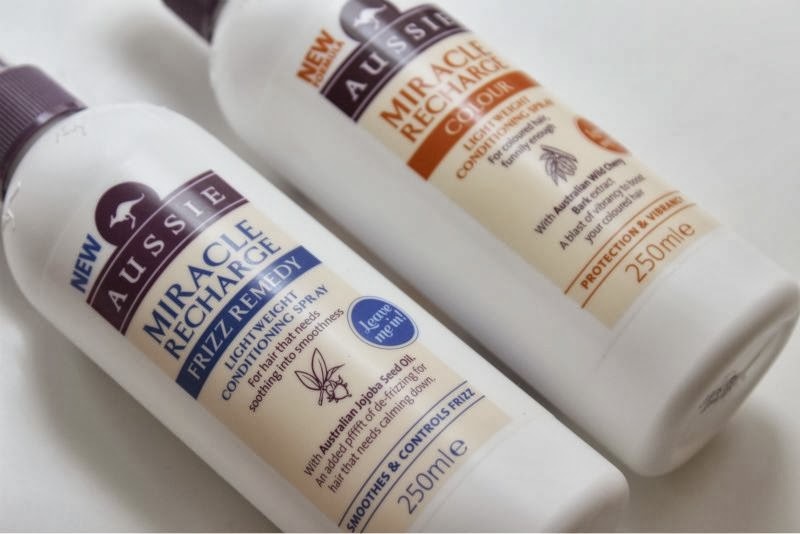 For £4.49 this leave in conditioning line is a great way to give your hair a little moisture boost and the fact that it doubles up as a de-tangler can only be a good thing. I love Aussie and used to use their leave in conditioner. Might have to pick it up again! I use the spray in one and absolutely love it! It has a lovely smell as well haha. These are great! I bought one last month and it's made a nice improvement to my hair :) Love it. I love aussie hair products! And they smell DEVINE! I love the original leave in conditioner! I use it daily! When that runs out I will have to pick one of these up! My hair is INCREDIBLY frizzy, I've been looking for something to tame it, without having to spend too much money, so this seems perfect!